This question is often asked and for those visiting a Probus site for the first time the following may provide enlightenment. “Probus” – derived from “Pro”fessional and “bus”iness, started as a project of Rotary in Surrey, England in 1965. It progressed to New Zealand in 1974 and to Australia in 1976. 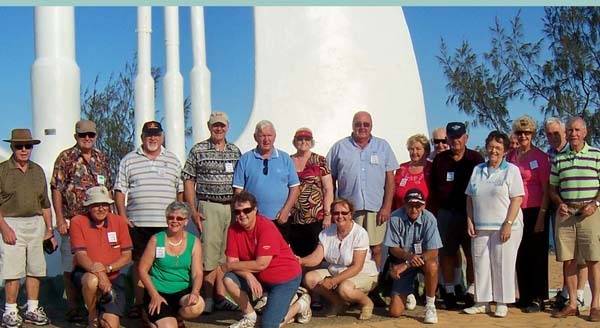 The basic concept of Probus is to provide the opportunity to Rotarians and persons from all walks of life, including those who were not Rotarians, to enjoy retirement, form friendships and stimulate the minds and activities of members. A very distinguished and very senior New Zealand Rotarian was once asked what he thought of Probus. “Probus “ he replied, with proper solemnity, “is a marvellous organisation – for doing nothing!” (The Probus Story by Paul Henningham). Well, it’s not quite like that, but Probus does not involve itself in projects and fundraising as service clubs may do. Probus concentrates on making sure that retired and semi-retired persons, enjoy the fellowship etc as previously mentioned. To achieve those aims, Probus Clubs have monthly meetings, which may include a guest speaker, a morning tea and possibly luncheon. They may have a monthly activity such as bus trips or picnics, or even groups who enjoy a multitude of disciplines e.g golf, walking, entertainment and lunches or the like. Probus is one of the fastest growing organisations of this nature worldwide . In Australia alone there are 1782 clubs with 138,269 members. In New Zealand there are 456 clubs with 45,885 members.